"The street track is very dangerous!" In the dangerous world of drag racing, Jimmy Bly (Pardue) is an up and coming drag racer. 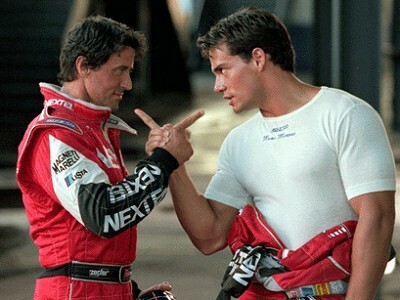 He is always battling fellow racer Beau Brandenburg (Schweiger) to be number one. When Bly falls into a slump, Carl Henry (Reynolds) hires old salt Joe "The Hummer" Tanto (Stallone) to mentor him. There is a lame romantic subplot involving Sophia Simone (Warren) and it causes more animosity with Beau and Bly. While this is not a straight to video release, it sure looks like one. For example when Tanto is racing, he runs over CGI quarters that look awful and it is hilarious. The racing sequences leave a lot to be desired and apes Days Of Thunder (1990). There is pervasive product placement throughout the movie. It is basically a 2-hour commercial for Nextel and Target.com among many others. There are numerous dialogue scenes between Tanto and Beau which are nigh-unintelligible because Sly slurs his speech and Til has a heavy German accent. This nonsense was written by Stallone (including all the funny names) and a lot of plot items make no sense or are not fully thought through. I guess Carl has a past with Joe Tanto and he forces him to mentor Bly with the line: "We go back, you and me. We go way back. You owe me Joe.". We never know the past between them. There is the prerequisite scene where Bly gets in over his head and Tanto yells: "You don't know who you are anymore!" 'Drive' is indeed one of Sly's worst. But hey, everyone makes a bad move now and again, right? 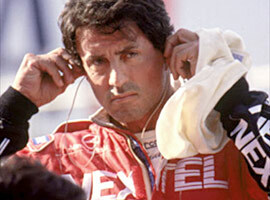 Still, Sly's the man! Sly is the best! He is allowed to make a couple duds. He was in some many Classics! COBRA! 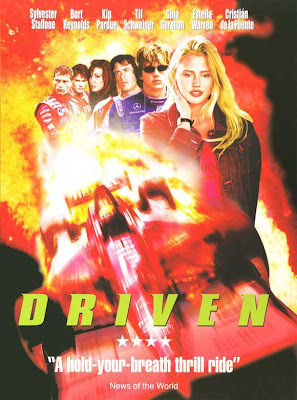 To quote Film Brain in his review of Driven in 2010, originally intended as a biopic of the late Ayrton Senna, it evolved into a racing movie set in Formula One. 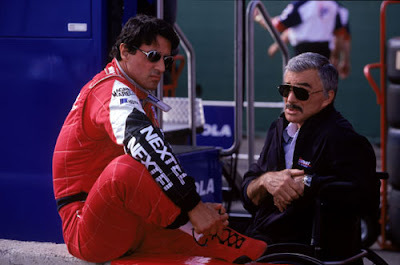 One problem: the Formula One bosses took one look at the script and told Stallone to get stuffed. Thanks for the info! Didn't know that. They shouldn't tell Sly to shove off. They couldn't gotten beaten up, Rocky style! Haha.